Those attending MATTA Fair Kuala Lumpur on March 16 to 18 at the Putra World Trade Centre (PWTC) get the special opportunity of Experiencing Sarawak without having to board a plane, through the digital technology of Virtual Reality (VR). 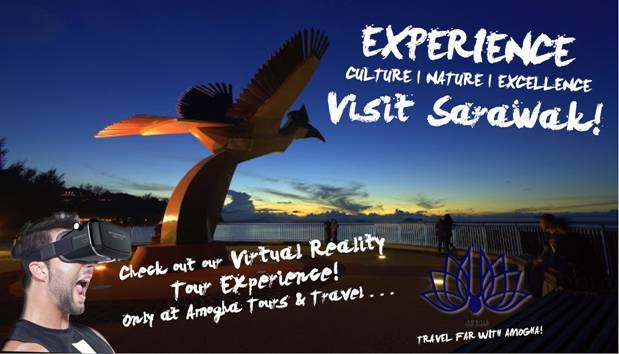 Amogha Tours and Travel will be having a Virtual Reality Tour Experience of Sarawak at the Sarawak Booth, promoting some of Sarawak’s most iconic nature and cultural locations. 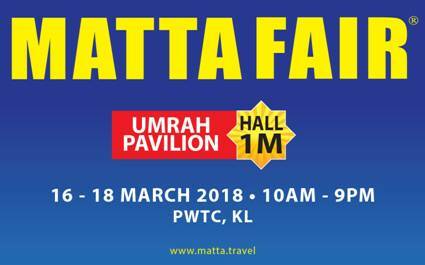 Other travel and tour providers, as well as product owners, will be attending the MATTA Fair and selling their products and services at special prices with added value. Among the trade providers are Kuching Holidays and Car Rental, offering a three-day ‘self-drive’ holiday with accommodations for just RM550 per pax as well as other tours. Jaunt Asia will be providing various four-day and five-day culture and nature packages specifically for the Muslim traveller. Sarawak Economic Development Corporation (SEDC) will be promoting package deals to their cultural and musical events such as the Miss Cultural Harvest Festival, Sarawak Ethnic Kitchen Culinary Challenge and Sape World Concert at the Sarawak Cultural Village with boarding at the Damai Beach Resort, Riverside Majestic Hotel and Grand Margherita Hotel.